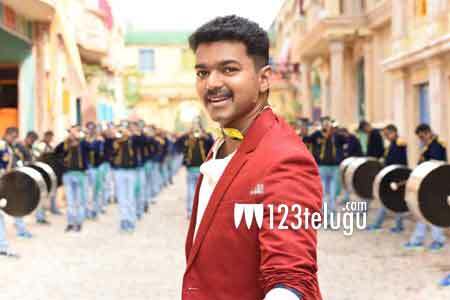 The Telugu version of Vijay’s ‘Theri’ is going to release as ‘Policeodu’. The movie has completed its censor formalities and it has been given a U certificate by the board. The film is now getting ready for a big release in April. Meanwhile, Dil Raju is arranging a grand audio launch for the event in Hyderabad on April 6th. The full details of the event will be revealed soon. Sri Venkateswara Creations and Kalaipuli S Thanu will be releasing the Telugu version of the film. Atlee, who shot to fame with ‘Raja Rani’, made this film with a big budget and high technical values.